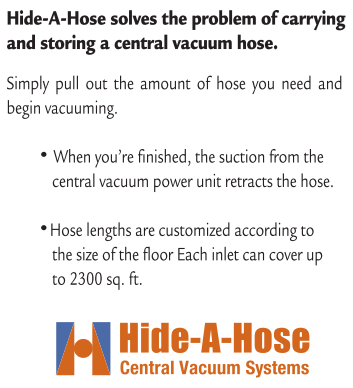 The Hose is stored in the central vac tubing. Up to 50 feet of hose inside. Longer hoses reduce the number of inlets. Inlets can be installed in new or existing homes. 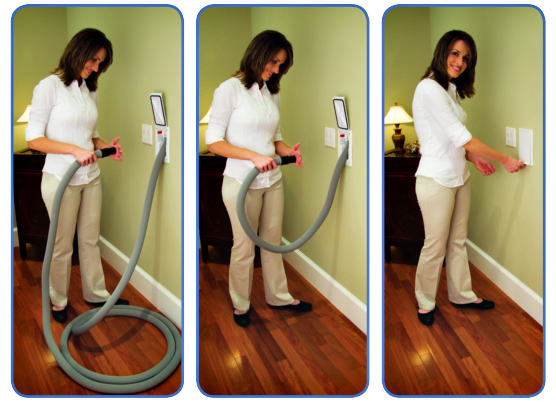 Watch the video which demonstrates how the Hide-A-Hose system works. If the video does not load directly into your browser, you can download the video from the link here.